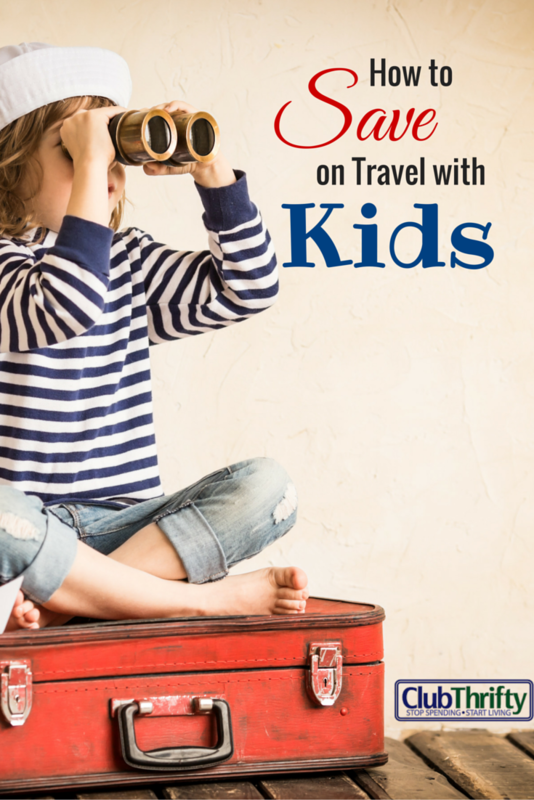 When you have young kids, travel can be both inconvenient and expensive. Not only do you have to lug car seats and diaper bags all over the place, but you also have to learn to live with higher travel expenses overall. Obviously, this should be expected. After all, little bodies take up space on airplanes and often require pricey snacks and their own tickets to attractions. It almost makes you want to just stay home, doesn’t it? Traveling with kids is always going to be more expensive than traveling without them because kids are constantly asking for drinks and snacks. A few milk cartons and cheese sticks add up throughout the course of a week, and before you know it, you can easily be out a few hundred bucks. That’s why it is always best to pack some of your own drinks and snacks to bring along on your travels. I like to stick to foods that aren’t too messy – things like graham crackers, for example. I also tend to stay away from snack foods that melt or end up all over my children’s adorable faces. Pack a few bottles of water and you’re ready to go. Most all-inclusive resorts are based outside of the United States in Mexico and the Caribbean. This means you will have to fly there, but the value could still be huge if you get a good deal. I tend to find the best all-inclusive deals in Mexico, but the Dominican Republic and Jamaica also have their share of bargains for family travel. The best way to spend more than you plan on vacation is to be completely inflexible about your resort, destination, and travel dates. On the flip side, you can save a lot more cash if you’re willing to consider a ton of really cool options. I always check Groupon Getaways for all of the latest greatest deals, in addition to Expedia.com for general price comparisons. Westgate Resorts Vacation Packages can also provide a good value since they usually offer packages that include not only lodging, but park tickets as well. And don’t forget to see what kind of deals you can get with credit card rewards, such as the Discover it Miles rewards card! I find it uber-annoying when people complain about the cost of Disney World. You know you don’t have to go there, don’t you? Every time I price out a trip to Disney, I completely freak. Even though I can basically get our flights and hotel stays free with credit card rewards, the cost to walk through that pearly gate is basically $100 per person, per day! If you’re on the fence about Disney, you should just got to Six Flags instead. Or King’s Island. Or Cedar Point. Whatever. Hit up your local theme park and tell your kids it’s just as good as Disney, if not better. You’ll probably save a ton of cash and you can even avoid airfare altogether if you have a theme park within driving distance. If you have young kids, travel probably feels out of the question. However, vacationing with family doesn’t have to break the bank. The fact is, there are plenty of ways to save if you are creative with your planning and willing to compromise. You’ll still have to change diapers once you get there, but at least you’ll save along the way. 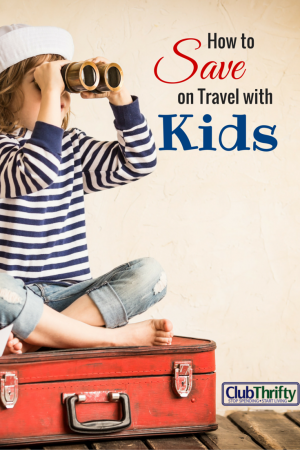 How you save on family travel? What are your best tips? PreviousThe Stupid Tax: Are You Paying It? My original plan to save was to just not go anywhere for the next two years while I figure out life with a newborn/infant/toddler! But that’s not going to work as the family is already planning some sort of Christmas reunion that’s going to require flying on specific dates to their place of choice (ugh). SO! My new plan is: max credit card bonuses to earn miles for our flights, obsessively track the deal sites for those massively discounted regional deals on hotels (travelzoo is good for this), and redeem credit card points for cash if I snag a deal that includes flight with the hotel. Nice! 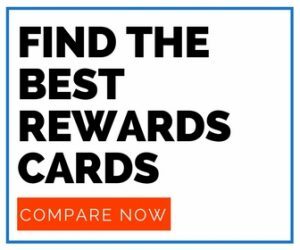 Let me know if you need help figuring out your ideal credit card rewards situation. I don’t think flying with kids is so bad. I always expect the worst going in! 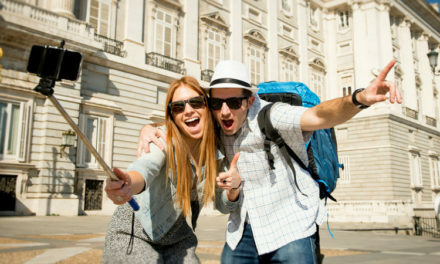 We do not give up on traveling as we always try to find the best deal, we pack our own snacks and meals ( as far as possible ) and do not buy stuff while traveling. We usually do not stay in resorts as we prefer to see many places and move frequently. This is the reason why we recently bought a camping van. This will allow us to save on hotel costs. Good tip! Greg really wants to drive an RV all over the country or something. Maybe one day! Along with the cooler, comes the semi-absolute requirement that any hotel room we are headed for includes a microwave and a mini-refrigerator. This sets us up for “eating independence” if the restaurant options strike us as too pricey or too inconvenient. Now, if someone could solve my pet-sitting cost problem for me, I’d be all set! We combine business travel with family travel. Hotel and one ticket and part of meals is paid. That always helps! We did that when we traveled for conventions at our old jobs, but we no longer have that option. Just FYI airlines cannot charge you to check a car seat and a stroller, so don’t let that part freak you out. As far as a screaming baby, we have been lucky with that ourselves, but usually choose to sit in the baby ghetto in the back of the plane because there is more noise from the engines to act as white noise and to drown out any of the potential baby noise. For the most part, other passengers are usually not jerks about a crying baby as long as it looks like the parents are trying to soothe the little one. Remember, these people are strangers are you probably will never see them again, so who cares what they think about you and your family. Don’t let a little one stop you from living your life and going to important birthday parties. Just my 2 cents for what it is worth… which probably isn’t much. We have flown with car seats a few times and it wasn’t that bad – more of a hassle than anything. I am glad we are out of that phase since all we need is boosters now! Haha, “the alcohol is for you not your kids”. Though at some all-inclusives, the alcohol makes adults worse than kids. I agree about the all inclusive. Kids eat a ton and going to an all inclusive cuts that expense down considerably. The same goes for second best. I get that you want your kid to experience the best things, but you also have to teach them that they can\’t have everything they want. I don\’t want to sound harsh, but that is part of life. Sometimes we can\’t go to Disney World. But that doesn\’t mean life isn\’t worth living. As you said, you can go to Six Flags or Wally World and show your kids that life is not an all or nothing thing. We’re really going to have to start looking into all-inclusive resorts. With three little ones under the age of 5, traveling is something that we are really investigating. We literally were on the computer last night pricing out a trip to Disney World and it was TRULY mind blowing and we quickly realized that it wasn’t happening this year lol. It might end up being a six-flags kind of year. Ha ha, LOVE the alcohol disclaimer! Our biggest challenge right now is that having three kids means we usually need a suite so we all get to sleep. We do a lot of the same things though – bring our own snacks, be flexible on the dates, etc. We usually are able to get the large majority of the cost covered by rewards points so we use what we budget for traveling for other incidentals so we know where the money is coming from. All inclusive is a great tip! We’ve been discussing how we want to expose both of our kids to travel, but I’m definitely intimidated by their current ages! We have saved a lot by getting a house or condo instead of a hotel room. We can eat breakfast and lunch in and go out for dinner. 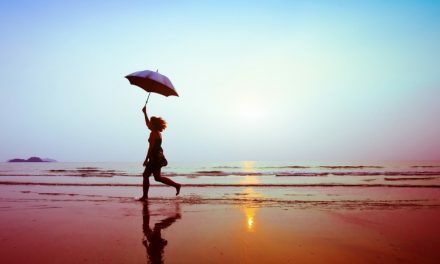 We love Hilton Head Island, there is so much to do that is free or cheap. Great tips. You can probably save quite a bit by not staying in a hotel and rent a condo or use Airbnb. My husband and I traveled extensively for many years without kids, so it was definitely a reality check when the girls joined us! 🙂 We do favor inclusive resorts and the girls help us prioritize how we spend on our money too, which helps minimize complaints. And I am really, really glad the girls are past the age where we need to lug a car seat, stroller, etc with us. Sure, I miss boarding early but I’m okay with waiting my turn! LOL! Flexibility before they are in school is key, since you are not lock into certain times to travel for fear of them missing extended periods of time from school. We started flying with our daughter when she was a few months old. If we hadn’t, she would have never seen her grandparents. It was a pain to take all the stuff and we certainly planned for the best connections with just the right amount of layover time. Now, I feel like we can go anywhere. We did our first longish flight of about 6 hours last summer, and she traveled like a champ. Thank goodness for points and miles! Great tips, Holly! I don’t have kids, but vacations I took as a kid are some of my best childhood memories. I definitely want to be able to afford to take my kids on some great vacations someday. I always look forward to traveling with kids. That is why I have a separate saving account for this type of expenses. My last trip we had with kids is we went to Hong Kong last year. This year in August, we’re traveling to Guatemala. I totally agree with you on the second best idea. We took my son to Disney 4 years ago and spent a ton of money and he had the most fun at our hotel pool. The following year I took him to a cheap indoor water park at the spur of the moment and he said it was the best vacation he ever went on. Kids don’t need much to be entertained, we as parents assume they do when all they really care about is staying somewhere different and spending time with you. Great tips! I haven’t traveled yet with my son but I’m excited to when he’s old enough to remember it. Packing snacks and all-inclusive resorts will definitely be on my list! Setting up an airport shuttle instead of a rental car really helped so we didn’t have to bring car seats with us to Hawaii recently. We also got a condo instead of a hotel room so that we could grocery shop and cook our own meals. Renting a timeshare (including Disney) can be a really good deal if you do the research. I agree that all inclusive works as well. Planning ahead and giving lots of time for what the kids want instead of trying to cram in a bunch of activities also helps. You have to be flexible otherwise the kids can go crazy! Of course, like you, we used credit card sign-up bonuses to make the flights and travel costs MUCH lower than what most people end up paying! Not on the budget part, but my tip is to always bring a toy for your kid! There’s so much “traveling” and waiting involved in traveling, kids are bound to get bored.